It’s known as C2E2 – the Chicago Comic and Entertainment Expo. I’ve never been. Until now. It’s held at McCormick Place this Friday night, and all day Saturday and Sunday. Basically it’s Comic Con, Chicago style. 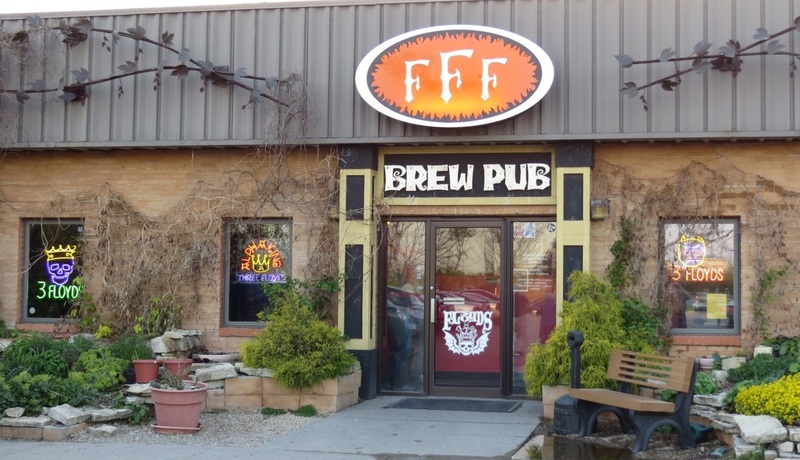 This afternoon was the kick-off party at Three Floyds brew pub in Munster, Ind. The famous Three Floyds. Home of Dark Lord Day (April 28) and a shitload of popular beers drinkers love to drink. Ireland’s first and last Ard Ri (high king) of the whole Gaelic race, Brian Boru was born in Munster, Ireland around 940. Brian Boru’s mother was killed by Vikings when he was a child. He spent his life uniting the Irish tribes to become the first king of Ireland only to be killed at Clontarf on Good Friday 1014 putting down a rebellion by the king of the province of Leinster. Brian Boru Irish Brand Red Ale is a very rich ale with toffee, caramel, citrus and pineapple notes. Brian Boru is brewed with several malts and Amarillo hops. February release. 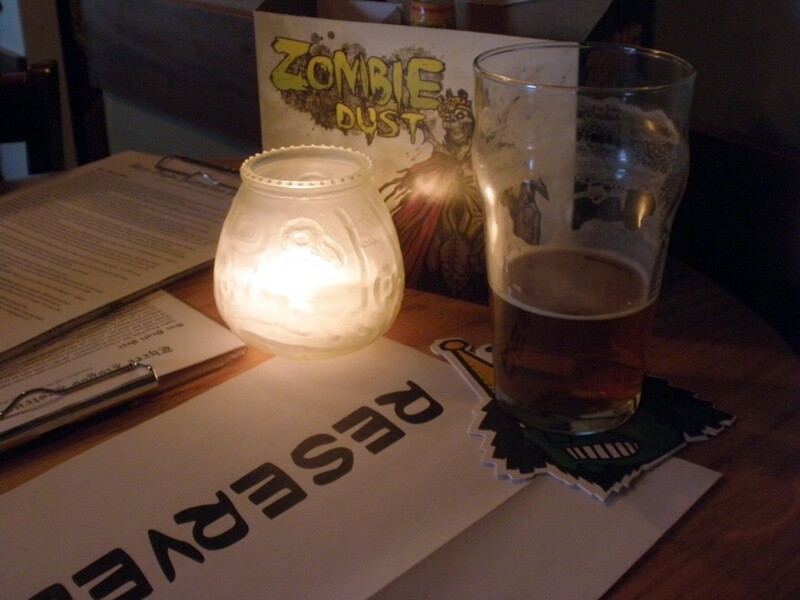 This intensely hopped and gushing undead pale ale will be ones only respite after the zombie apocalypse. Created with our marvelous friends in the comic industry. I’m going to be totally honest with y’all here. I’m not a comic book geek. I like some of that shite, though. The Asian guy and his onscreen girlfriend from Walking Dead will be at C2E2 on Saturday. So will Maggie Q (Nikita). Maggie Q was also in one of my favorite movies, New York, I Love You. She has a cool and fashionable scene with the always becoming Ethan Hawke. So I may be stopping by C2E2 on Saturday. It’s Chicago’s Comic Con, and I want to see all the costumes and weirdness that will be in presence.